Stunning and spacious Leo Wilson built home! Custom detailed work displayed throughout the home from the wood beams and corbel accents in the living area together with a custom built-in entertainment center, crown molding, and other intricate wood details that carry on into the kitchen and dining room display the quality and hand craftsmanship put into this home. Featuring four bedrooms and three bathrooms with the large master bedroom and bathroom located downstairs along with one other bedroom and bath on the lower level. Upstairs is a functional setup with two bedrooms and a jack and jill bath setup. This home provides all the space you need with a living room off the entry way, another living space off the kitchen, a nook area, and dining room. Situated on one of the largest lots in Kings Crossing highlighted by the custom pool with pebble sheen finish and water feature. 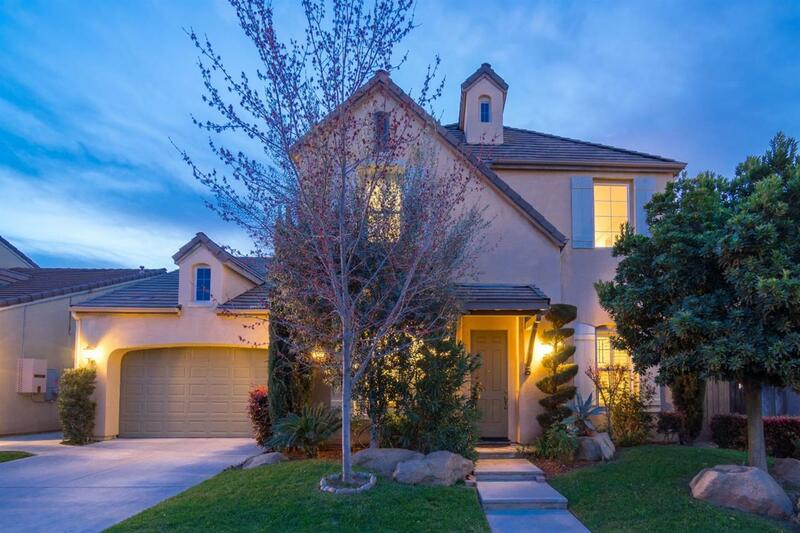 Tucked away in a private gated community next to Dry Creek / Clovis trails, and Clovis Schools.